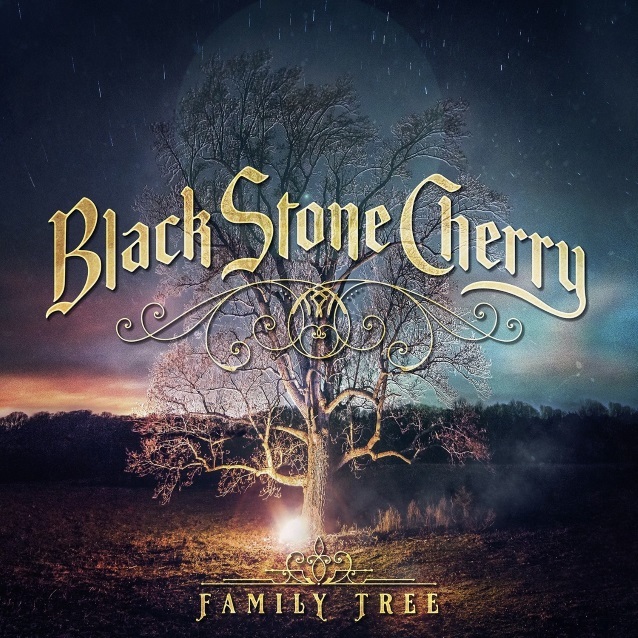 Watch Quality Footage Of GHOST's Concert In Washington, D.C.
Kentucky rockers BLACK STONE CHERRY will release their new album, “Family Tree”, on April 20 via Mascot Records/Mascot Label Group. The official lyric video for the disc’s first single, “Burnin'”, can be seen below. The follow-up to 2016’s “Kentucky” was produced by BLACK STONE CHERRY and once again recorded at David Barrick‘s Barrick Recording in Glasgow, Kentucky. The effort features a guest appearance from frontman Chris Robertson‘s five-year-old son, who contributes backing vocals to “You Got The Blues”, while GOV’T MULE‘s Warren Haynes can be heard on “Dancing In The Rain”.